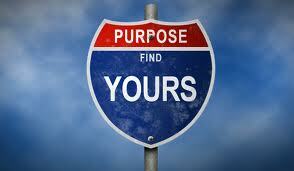 Ever since the beginning of time humans have searched to find their purpose in life. Thousands of books have been written and hundreds of thousand of speeches, lectures, and discussions have been given on the topic of purpose. So I thought I would share a few insights I have gleaned over the years regarding this life altering topic. Without purpose, people drift from one thing to the next or they wake up one day feeling trapped in a situation or place they don’t want to be in. Finding your purpose leads to clarity and clarity leads to focus … focused energy, focused actions, and focused results … and that leads to happiness. When a person loses their purpose in life they soon atrophy and their desire to live diminishes. (think about someone you know who retired and lost their desire to live). Finding your purpose in life doesn’t mean you have to find a cure for cancer or quit your job and move to Africa and work for Feed The Children. Discovering your purpose begins with being crystal clear about your strengths, talents, gifts, and brilliance and then showing up with them in all you do. You will never find your purpose in life if you spend your time watching Honey Boo-Boo, Redneck Island, Pawn Stars and the other garbage on TV. You will know you’re on the right path if when you embrace your talents, strengths, and gifts and others begin to consistently recognize you for them. The number one cause of Death of Purpose is fear … fear of success, failure, loss, dying, surviving, disappointing, poverty, etc. The single most important factor in finding your purpose is Belief, believing that you were put here on this earth for a reason and discovering that reason needs to be the number one priority in your life. Living out your purpose needs to be the second priority. Discovering your purpose is an inside job, it already exists inside of you, you just have to clear out the old beliefs, lies, and junk that are preventing you from seeing it. Go online an order the StrengthsFinder 2.0 book by Tom Rath. It contains an assessment that will give you your top five strengths. It is extremely accurate and will start you on your path of discovery. PreviousPrevious post:How Do You Solve A Problem Like …NextNext post:Purpose: Are You Being Called to Play a Bigger Game?